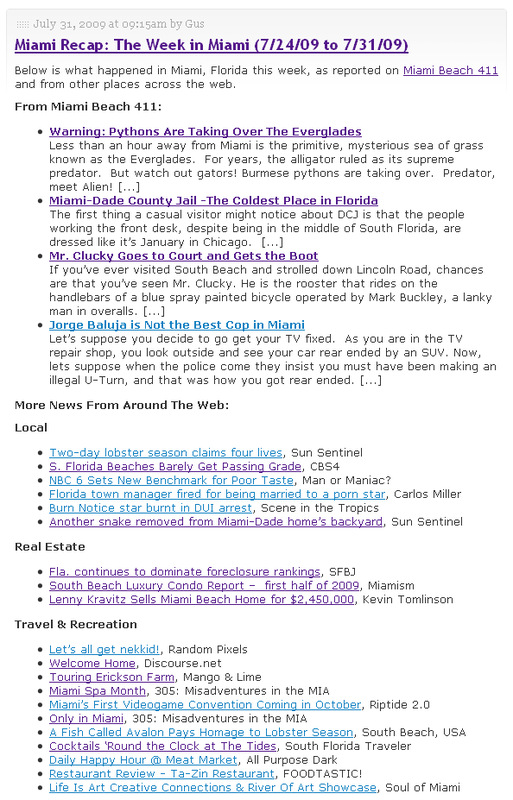 Note: This is not a story about house hunting in Miami; however I hope you find my experience helpful to you in finding a home. I am not sure when I realized I was “house hunting”. Perhaps it was when I noticed that everytime I drove by a “For Sale” sign I was craning my neck to see what I could be missing. It wasn’t long before I found myself jotting down telephone numbers and calling owners and realtors. Interesting (to me) that I drove by two similar properties and both intrigued me. These two were only a stones throw apart, but in the neighborhood they were in I was certain that only the “cheaper” one would possibly be affordable. What compelled me to look for a house in this particular neighborhood was that there are some lakes and parks nearby. Also, the city (East Grand Rapids, Michigan) was where Gerald Ford made his home while he served in Congress and the city facilities are second to none. Great snow removal, a terrific police department, excellent schools and low crime. One day I drove by (the cheaper house) and stopped. My girlfriend Susan was with me and we looked in the windows and I called the realtor. This was a very nice home, and we were somewhat interested. The price seemed below average for the neighborhood. Just for comparison purposes, we drove up to the nicer home just up the street. Again, we were going to look in the windows. Susan noted that it appeared that this property was occupied so the idea of looking in the windows was out of the question. Again “just for comparison” I telephoned the realtor; and, to my surprise this property was only $5,000 more than the first. I felt it was not affordable anyhow so I pretty much put the whole idea of purchasing a home on hold. A few days later, the realtor (of the nicer home) called me back and suggested that we walk through this home. He told me the property was unique and someone was going to get a really special house. I sensed he meant it and we scheduled an appointment for a showing. Walla!! What a house. I couldn’t have designed a better home for my needs: large rooms, large closets, a 2.5 car garage, huge windows, new roof, new carpet throughout, new high quality bathroom fixtures, double glass high quality windows. This place was first class. Quality gets me everytime! After some discussion about why it had been vacant for over a year and that the sale was being handled by a trust, I felt compelled to find a way to make a bonafide offer. The first thing I did was begin to find out what mortgage programs I qualify for. Secondly I wanted a program which I could put zero down. My income varies from month to month and year to year. I did not want to have to prove my income. I found a product that would work. What I found was a 100% no down program in which I do not have to disclose (prove) my income. There are a variety of lenders which offer the “stated income” programs but in my particular case I chose First Franklin because their requirements were the most lenient. I am not excited about paying 7.5% interest; but, I feel the property was sold for at least $50,000 below market so it was truly time to make an offer. My appraiser assures me the value will come in at about $250,000 (remember I am paying $204,900 with $12000 coming back from the seller) all the ingredients were there to make a solid purchase. Home prices vary from Michigan to Florida. If a person wants a Miami property he will spend twice per square foot than in Grand Rapids. But, one thing is constant and that is that people want to be comfortable and safe in their homes. Hopefully this will empower persons who are “on the fence” about home ownership to at least go out and let the possibility of buying your home unfold. 1 Responses to "House Hunting and Making an Offer"
Once you have found a home that meets both your needs and your price range, you can present the vendor with an Offer to Purchase. The vendor can accept your offer, reject it or make a counteroffer. Negotiating a purchase agreement is the trickiest aspect of any real estate transaction and there is only a small line between walking away disappointed and purchasing the home of your dreams at a fair price.